An ocean front resort tucked in the Costa Rican rainforest. Spacious rooms have an organic feel with natural hues and materials being used. Dine in the romantic restaurant specialising in seafood. Spend days exploring the rainforest or lounging on the white sand beach. A tropical haven. Active Holiday - From watersports to jungle treks there are numerous activities to keep all entertained. Surfing - Excellent waves for both amatures and professional surfers alike. 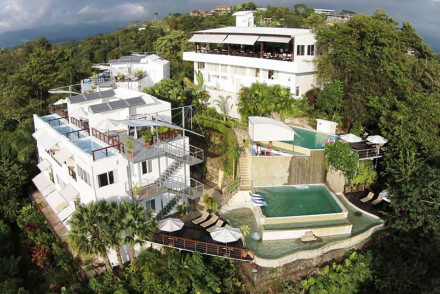 An impeccably designed jungle property boasting fantastic views over the surrounding canopy. Individually designed rooms are contemporary in style with plenty of glass, uber luxurious bathrooms and endless space. Dine in the romantic outdoor restaurant and unwind over a massage in the spa. Bliss. 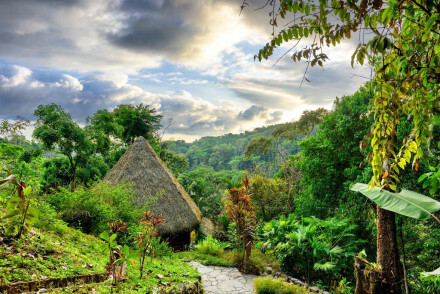 Back to Nature - A design masterpiece in the depths of the tropical Costa Rican jungle. Fishing - Nearby Quepos is well-known for inland angling. 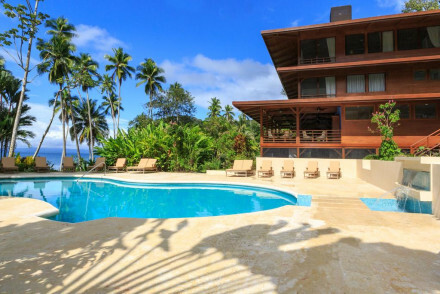 A secluded property set in lush jungle and just minutes from the beach. A variety of accommodation suits all budgets. Find organic design, luxury bathrooms and oh-so comfy beds. From yoga classes to jungle safaris there's numerous activities to keep all entertained. A glorious hideaway. Back to Nature - Set amidst the jungle revel in utter tranquility. Surfing - Surfing available at the nearby Carate Beach. Restrictions on children - Children over 5yrs are welcome. An adult-only hilltop hotel nestled amongst its own nature reserve. Contemporary rooms feature polished wooden floors, crisp white linen and local artefacts. 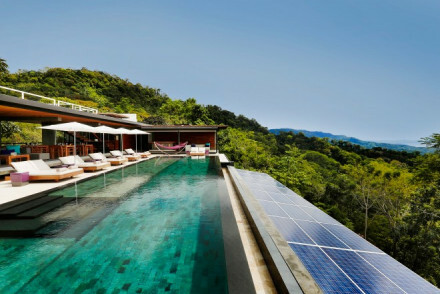 An infinity pool sat seemingly perilously overlooking the forest boasts spectacular views. The perfect spot to get back to nature. Back to Nature - Boasting its own nature reserve and right next to Manuel Antonio National Park. Honeymoons - A grown up hotel in a secluded location. Ideal for spending time together. Sailing - Head out to sea and search for dolphin and whales. An exclusive hideaway with easy access to stunning white sand beaches and nature reserves teaming with wildlife. Secluded Balinese style villas create a tropical feel and boast luxurious open air bathrooms. Dine on superb light and healthy produce made using the freshest produce. A romantic haven. Honeymoons - A beach retreat surrounded by nature. Ideal for romantic getaways. Surfing - Hire a surf board from the hotel and hit the waves. For those in need there's an instructor on call. A luxurious hideaway comprising of just 10 stunning villas. With nature taken as inspiration airy rooms feature plenty of wood set against organic hues. 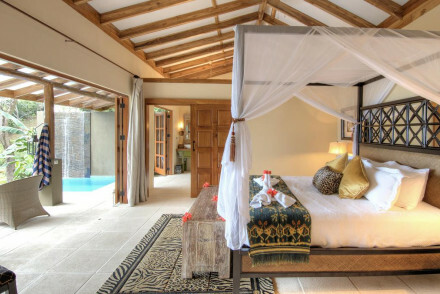 Luxury is taken seriously here with each villa housing a plunge pool and service is efficient and friendly. The restaurant is superb too. Fabulous. Hideaway - An exclusive, adult-only, hotel tucked away in the mountainside. Surfing - Hit the waves at the surf-destination of Santa Teresa. Great walks - Take long strolls along the stunning coastline. 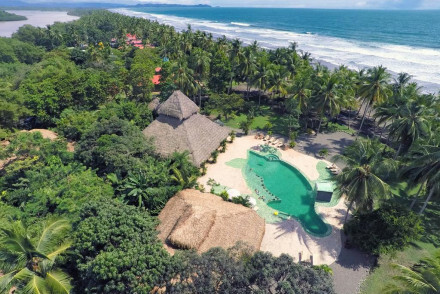 A glorious resort nestled amidst the forest and opening out onto a secluded white sand beach perfectly primed for surfers. Wonderfully romantic rooms feature polished wooden floors and shutters, white muslin draped beds and large terraces. A tranquil tropical hideaway. Surfing - Classes are available and the hotel will provide you with surf boards. Beach Life - Live the laid backed life on a white sand beach with great surf. 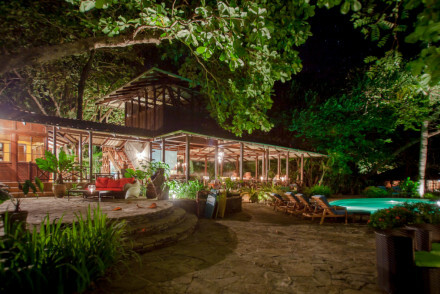 A luxury eco lodge boasting an enviable position on the Costa Rican coast and backed by lush rainforest. Contemporary rooms have an organic feel with plenty of wood and windows framing spectacular views. Enjoy farm to table dining an indulgent spa and tranquil pool. A nature lovers dream. 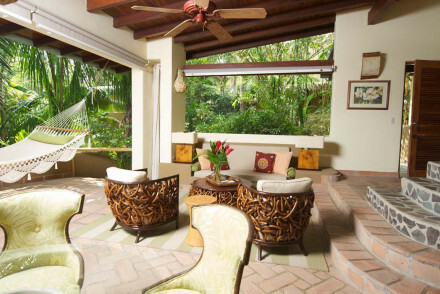 Back to Nature - Located in the Costa Rican rainforest and bordering a white sand beach. Kayaking - Enjoy a days kayaking on the Rio Esquinas through mangroves to the ocean. Birdwatching - Search for any number of the 367 species of birds found in the region. 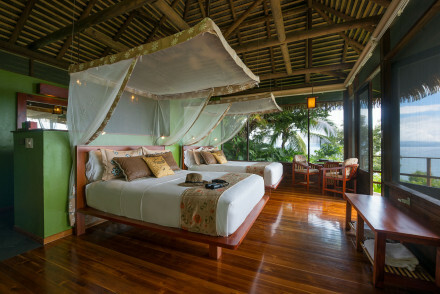 A secluded eco lodge surrounded by rainforest and just a short walk from beautiful white sand beaches. Romantic thatched cabins have three open walls bringing you close to nature, large terraces and luxurious bathrooms. Exemplary cuisine makes use of produce from the surrounds. A glorious escape. Hideaway - Hidden in the depths of the rainforest find utter tranquility, access to stunning beaches and superb food. Birdwatching - Boasting a unique location on a migration corridor; this is a birdwatchers haven. Surfing - The two beaches within walking distance have perfect waves for surfing. Sailing - Search for dolphins, stingrays and turtles on one of the hotel's tours. A luxury hotel offering a spectacular cliff-top location and glorious ocean views. Minimalist interiors draw focus to the beautiful natural surrounds. Set beside Manuel Antonio National Park and just minutes from the beach, there's plenty to explore. A sublime hilltop paradise with private villas and bedrooms offering gorgeous views to the South Pacific. 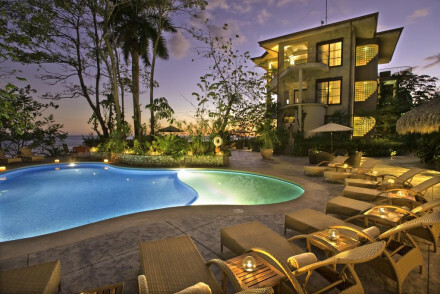 A tropical hideaway with a sparkling infinity pool and small spa. 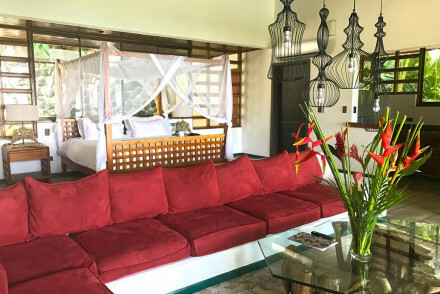 Bedrooms have private balconies and the restaurant offers Costa Rican fusion cuisine. Romantic, remote and relaxing. Eco break - Kurta uses drip technology to water the lush gardens, relies on solar power and harvests local ingredients for the restaurant. Total relaxation - Lounge by the salt water infinity pool with a cocktail or indulge in the spas menu of wraps, scrubs and massages. Diving - Experienced divers head straight for Isla del Cano where you can swim with manta rays, turtles, dolphins and tropical fish. Birdwatching - Set in the stunning Caño Island Biological Reserve and every room is supplied with binoculars for viewing local wildlife.